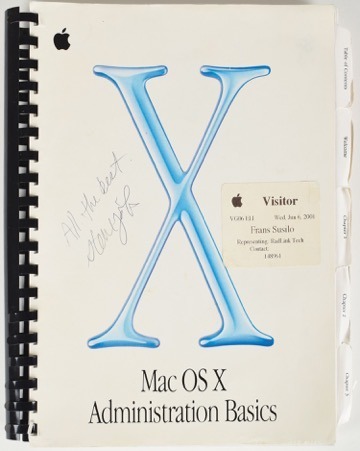 A Boston company is planning to auction three items autographed by late Apple co-founder and CEO Steve Jobs, rare items from a public figure typically believed to have been averse to giving out his signature. 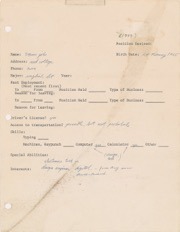 The most valuable item is a 1973 job application, in which an 18-year-old Jobs was looking for work as an "electronics tech or design engineer," according to RR Auction. While the starting bid is $5,000, the final value is expected to hit $50,000 or more. 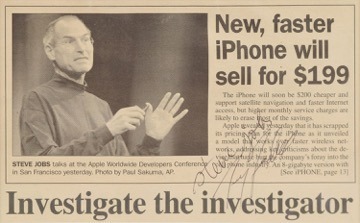 The other items include a "Mac OS X Administration Basics" manual signed by Jobs in the Apple parking lot in 2001, and a WWDC article from the Palo Alto Daily Post, dated June 10, 2008. Bidding on the former will start at $1,000, but is forecast to top $25,000. The Daily Post piece will see bidding start at $2,500, even though its value is estimated around $15,000. Each signature is said to have been analyzed and authenticated by a third-party firm, PSA/DNA. In October, RR Auction sold a Jobs-signed Newsweek cover for $50,587. The new auction is slated to start March 8, and end March 15.